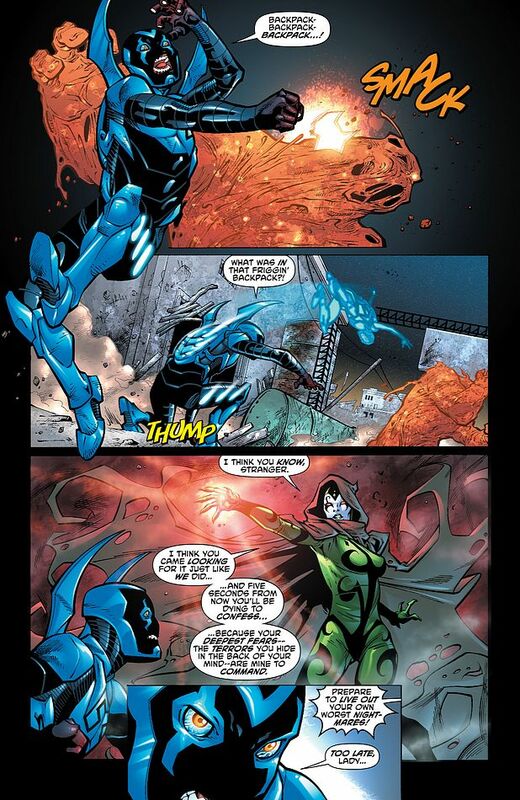 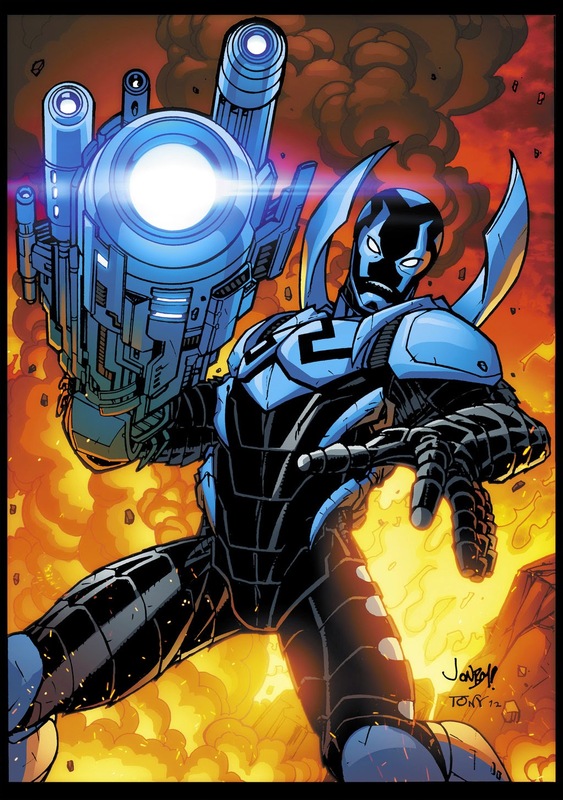 In 2006, DC introduced a new Blue Beetle, teenager Jaime Reyes, whose powers are derived from the scarab, now revealed as a piece of advanced alien technology. 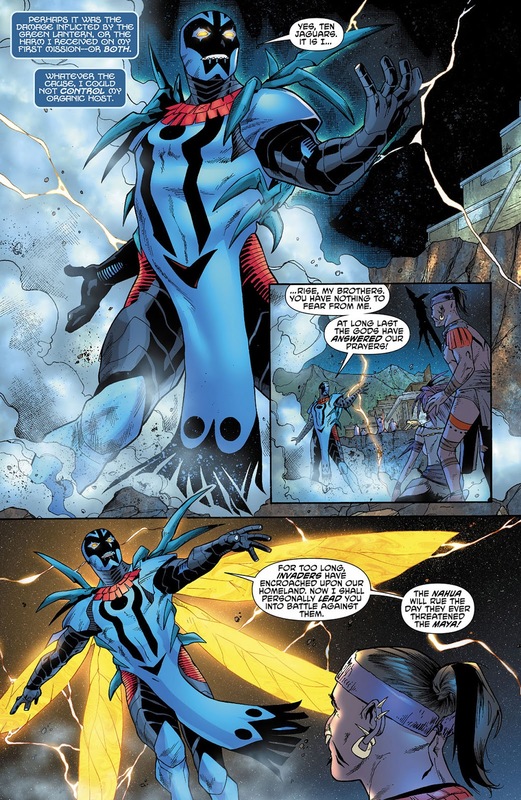 The series was initially written by Keith Giffen and John Rogers, with artist Cully Hamner. 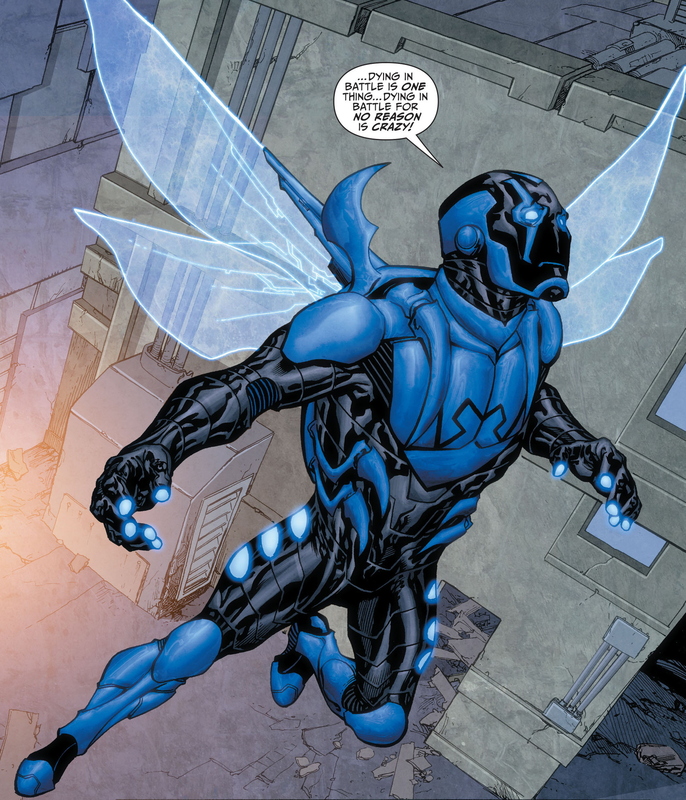 Giffen left in issue #10 and Rogers took over full writing duties, joined by a new artist, Rafael Albuquerque. 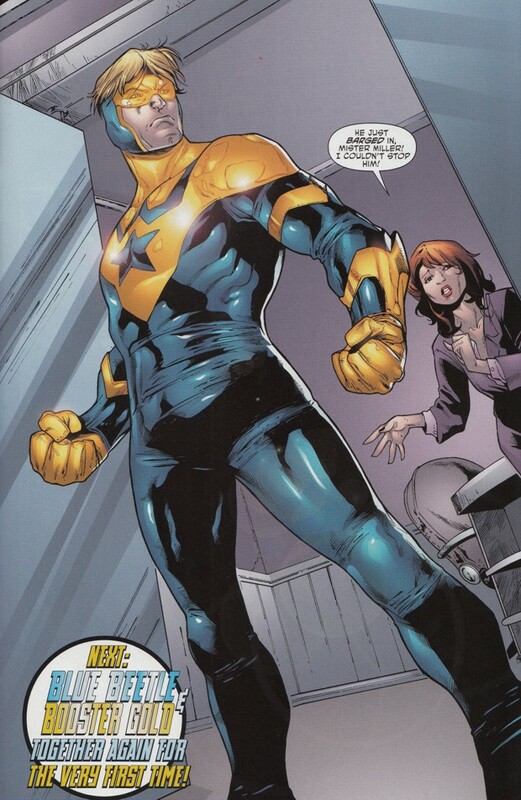 Rogers left the title with issue #25 in order to concentrate on his television series Leverage. 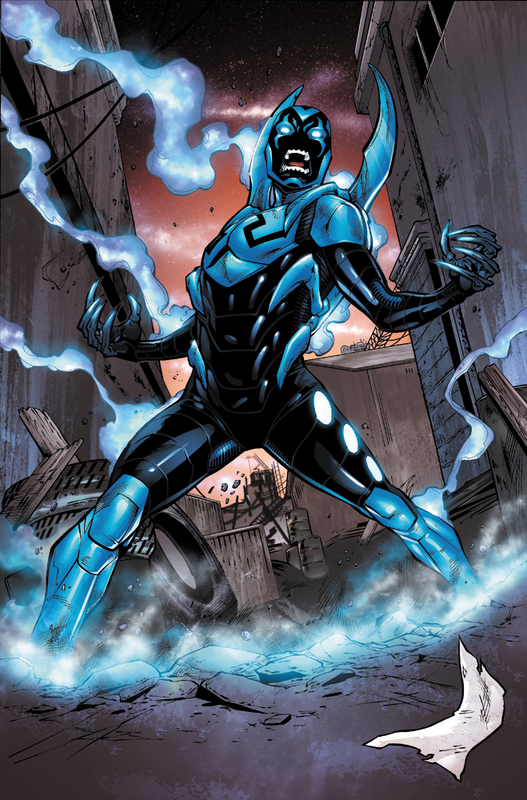 After three fill-in issues, Matt Sturges became the main writer in issue #29, but the series was cancelled with issue #36. 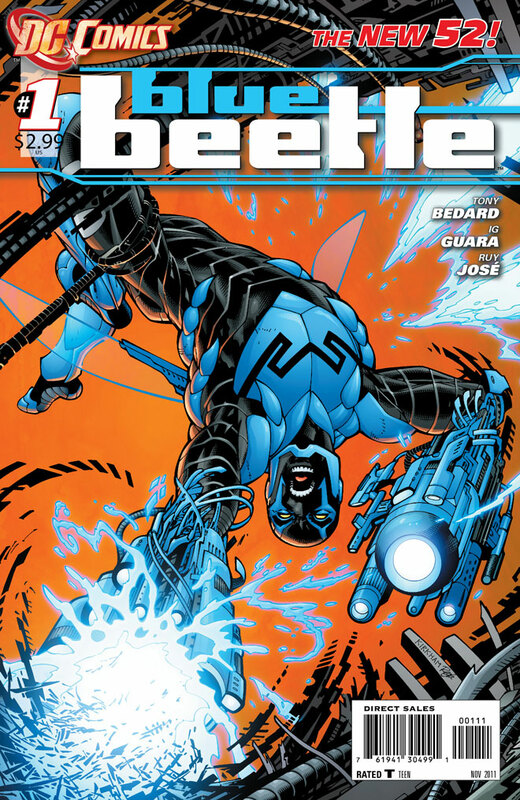 Editor Dan DiDio put the cancellation down to poor sales and said that Blue Beetle was "a book that we started with very high expectations, but it lost its audience along the way. " 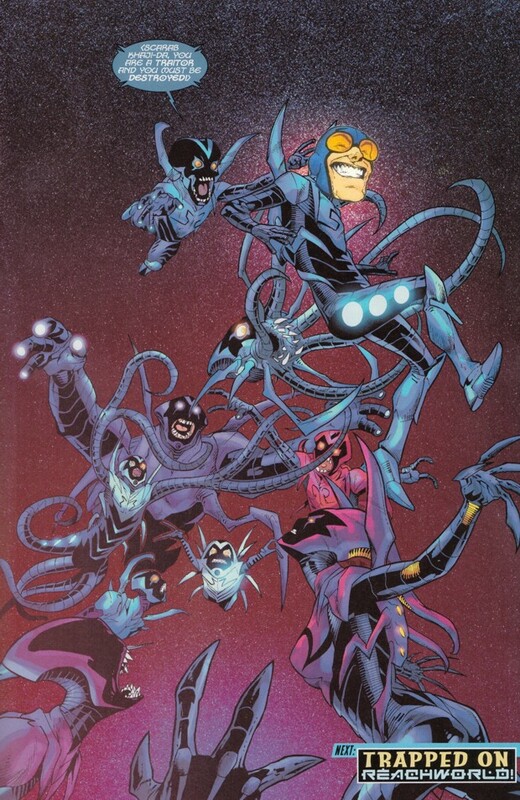 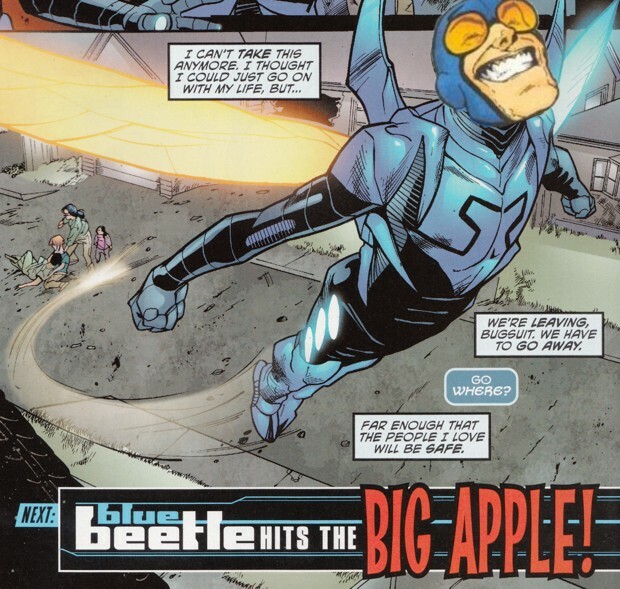 In June 2009, Blue Beetle was brought back as a "co-feature" of the more popular Booster Gold comic. 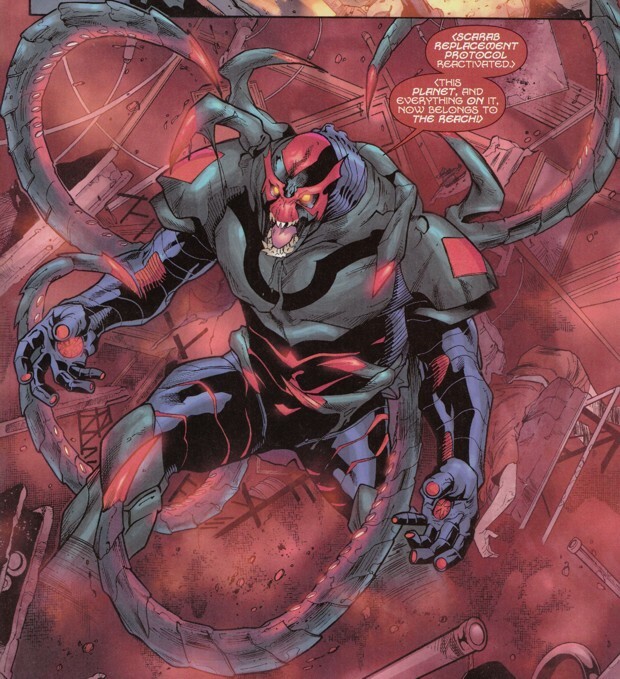 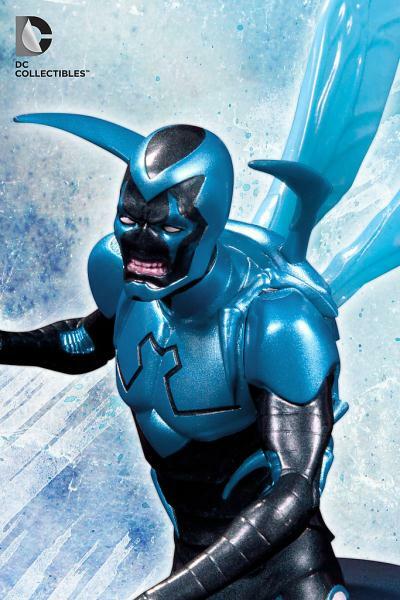 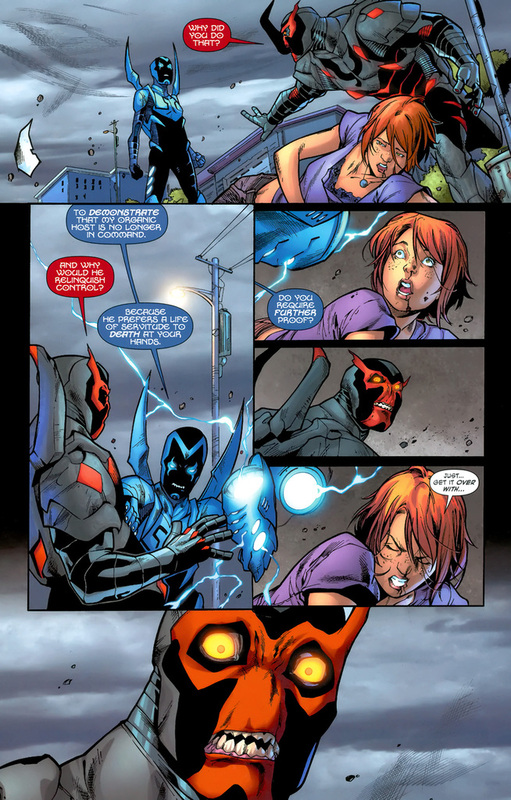 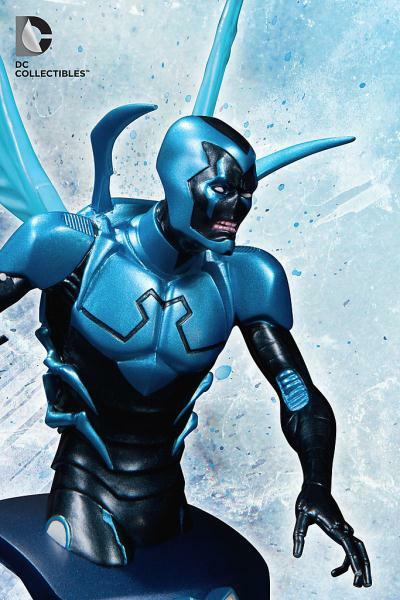 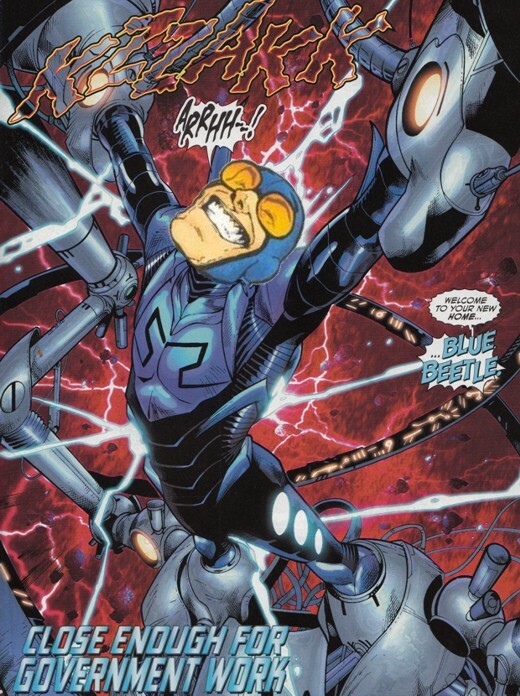 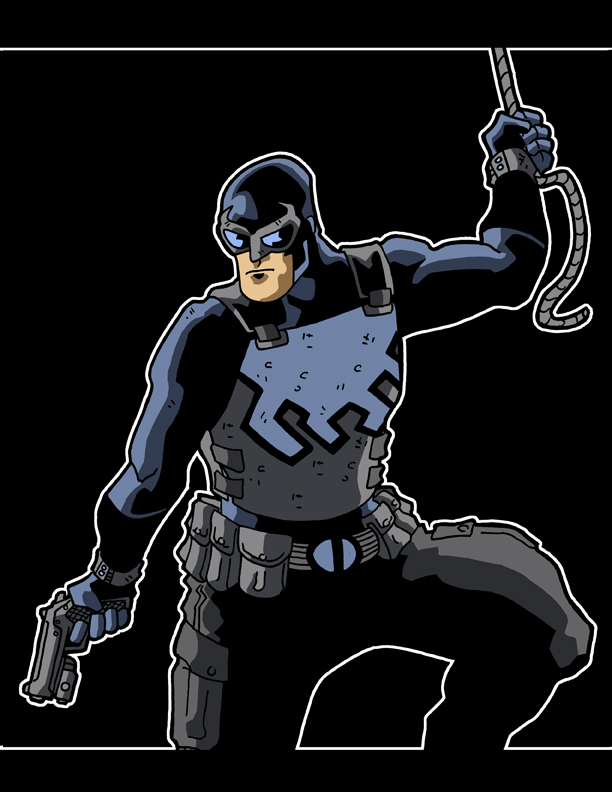 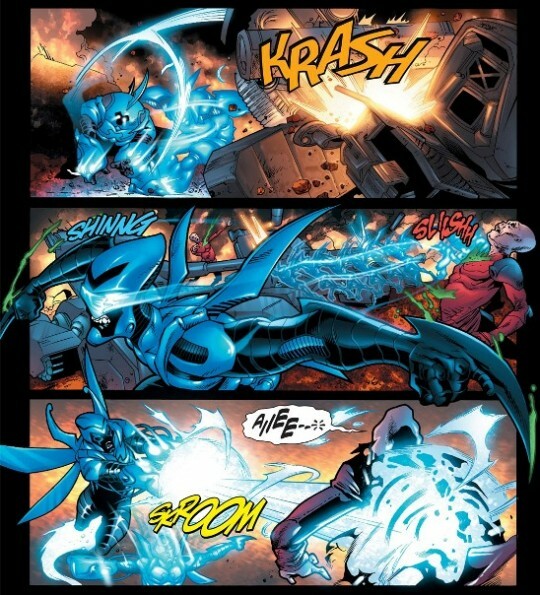 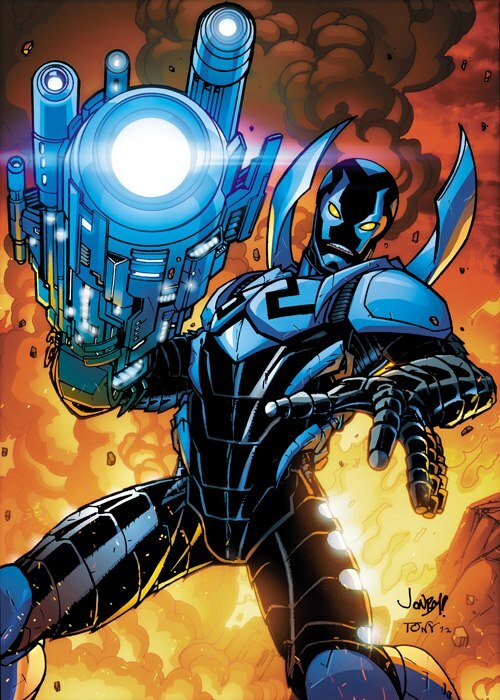 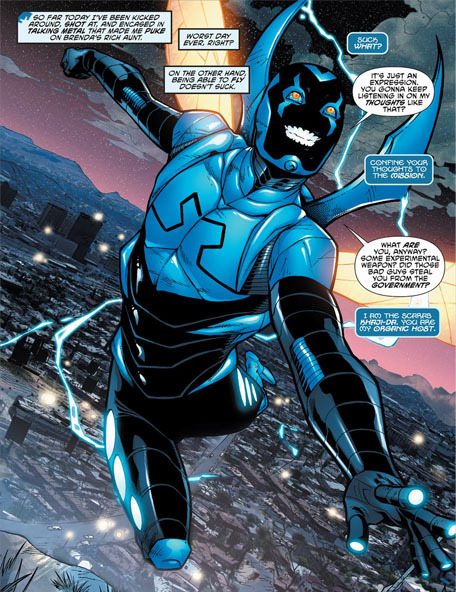 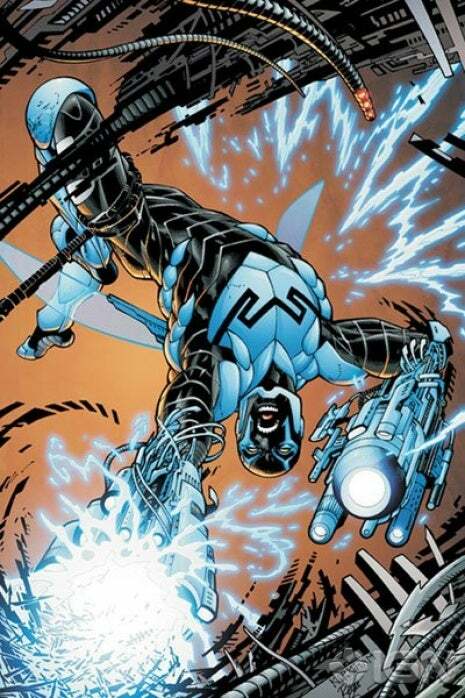 In September 2011, a new Blue Beetle comic was launched as part of The New 52 initiative, with Jaime Reyes' history being rebooted with a new origin and without any apparent history of Kord or Garrett as prior Blue Beetles. 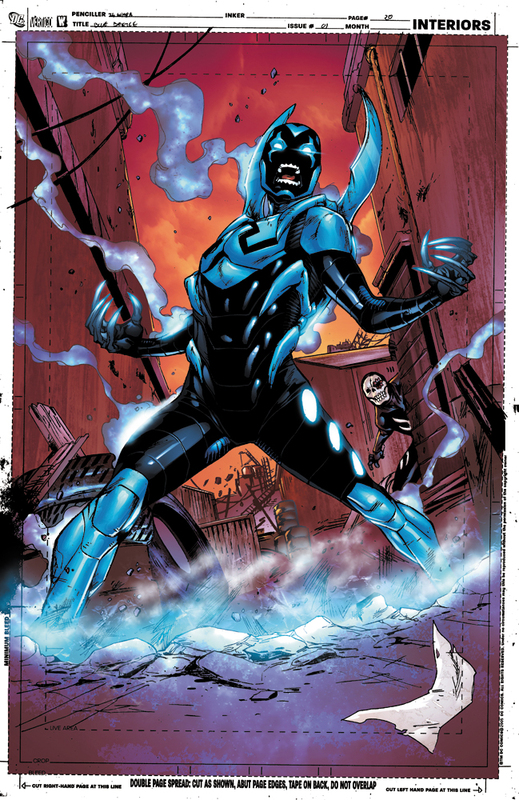 The new book was written by Tony Bedard and drawn by Ig Guara.